Let me tell you about a magical land called California. Where lemons actually grow on trees. Magic! 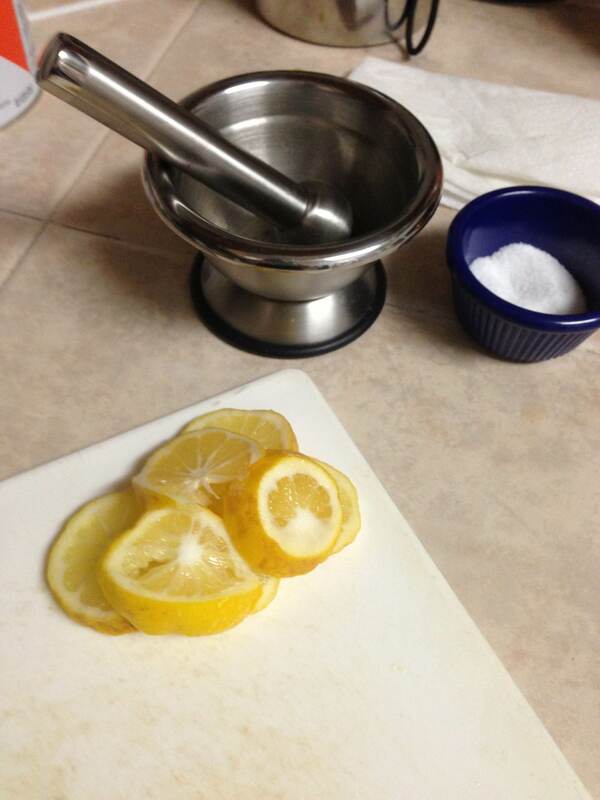 The Meyer is unlike other lemons. The rind is thinner, the fruit is sweeter, and lucky for us, their peak season is still happening now. Personally, on any given day I’d like nothing more than to be poolside in Palm Springs, but I suppose the next best thing is to cook like I’m there? When I vacationed in the Coachella valley, I plucked lemons off the tree in the backyard of the house we were staying in and they quickly disappeared. 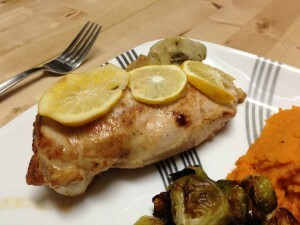 And so, in the spirit of the desert and her date palm trees, I give you Meyer Lemon Chicken. Heat a skillet over medium-high heat. Melt the butter, then add the butter to the pan and swirl to combine. 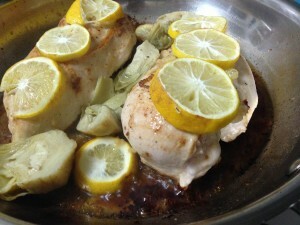 Add the chicken breasts and cook 4 minutes on each side. Make four small slits into the first chicken breast. Stuff two of the garlic clove halves into each slit in the chicken breast. Repeat with the second breast. Top with the lemon slices and return to the skillet. Sprinkle with salt and pepper and add the artichoke heart pieces to the pan (some of the oil they’re marinating in is ok too…) and cook for two more minutes. Finish in a high-heat oven for 5-7 minutes until the lemons begin to wilt and the artichokes are heated through. 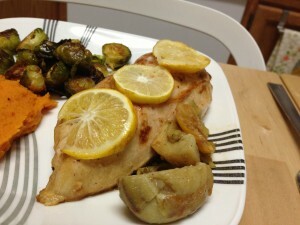 artichoke hearts, chicken, leah charney, meyer lemon. Bookmark the permalink. Post a comment or leave a trackback: Trackback URL.